Response from Charles Tyrwhitt: As this affected a different shirt on your order, please kindly review your comments and rating relating to this shirt. We want to ensure that each individual shirt receives the correct rating so that future potential customers know a rating is accurate. Thank you. Same comments apply as with the extra but this One doesn’t stretch. 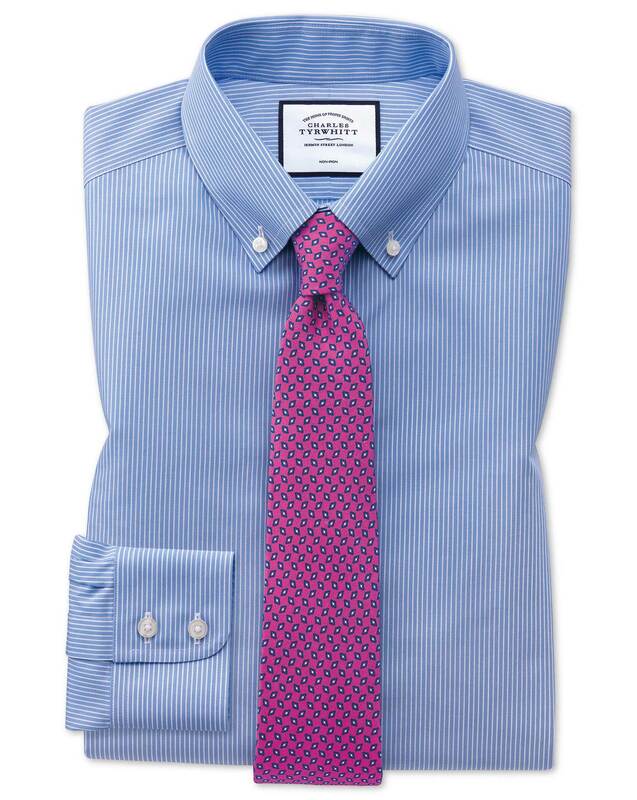 Response from Charles Tyrwhitt: Please feel free to raise a return with us for this shirt, as we wouldn't want you to feel you were stuck with a shirt which isn't the ideal fit. Returns can be made very easily at www.ctshirts.com/rebound and we'll gladly provide you with a Slim Fit in exchange! Nothing wrong with these two shirts. Except I wasn't aware that they were slim fits when I ordered - I am regular size. Consider making it more clear on web site when ordering the "cut" of the item ordered. Would have saved us both some trouble. But I returned without even opening the packages (would have been much too tight). So that minimized your hassle. Response from Charles Tyrwhitt: I'm sorry to see the fit ordered here wasn't quite right for you. With the refine-by menu on the website, you can configure your searches to only show items from the Classic Fit range. All our shirts also have the specific fit included in their name - such as this one being the 'Extra slim fit button-down non-iron blue...'. Thank you for returning the shirt to us and I hope you will continue to enjoy the Classic Fit shirts ordered alongside it.